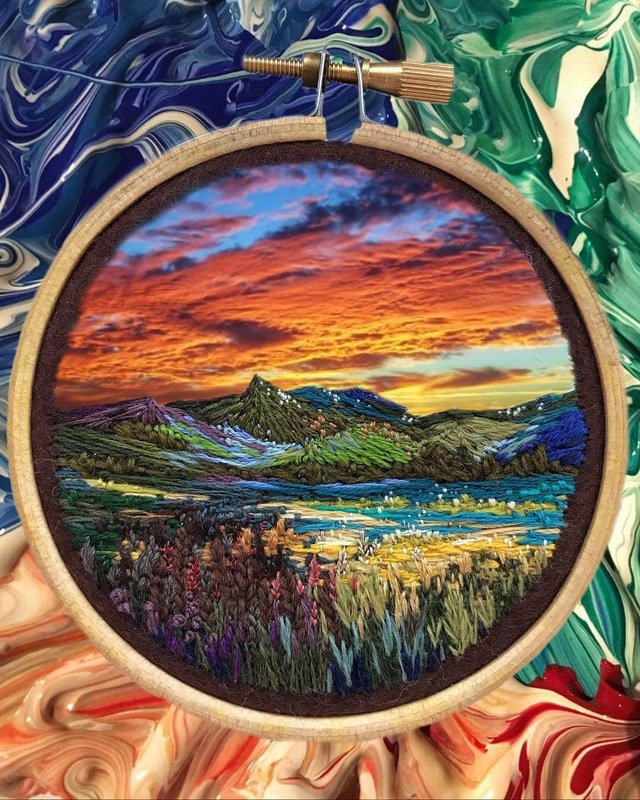 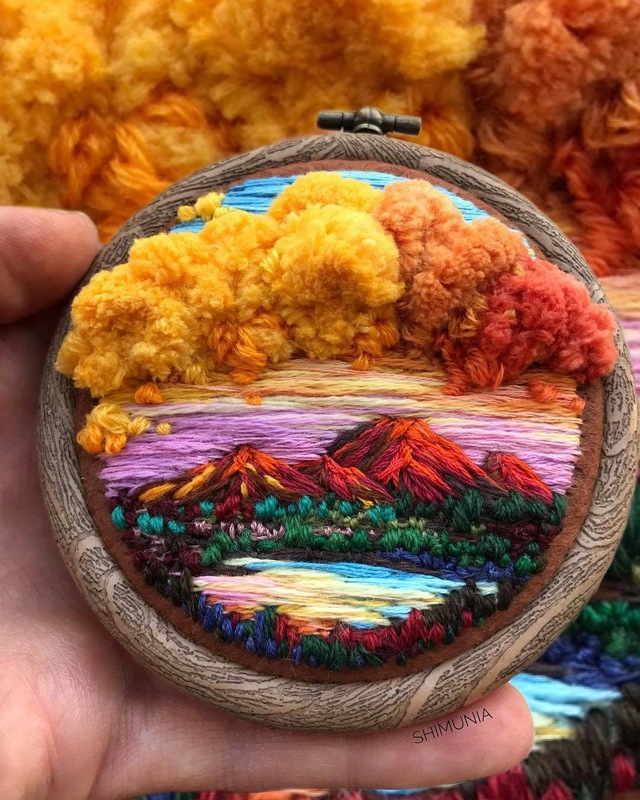 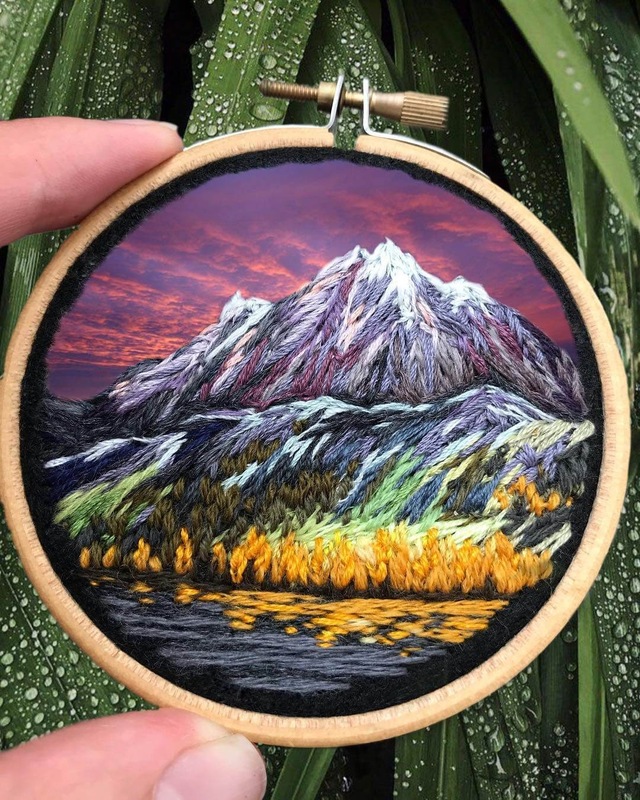 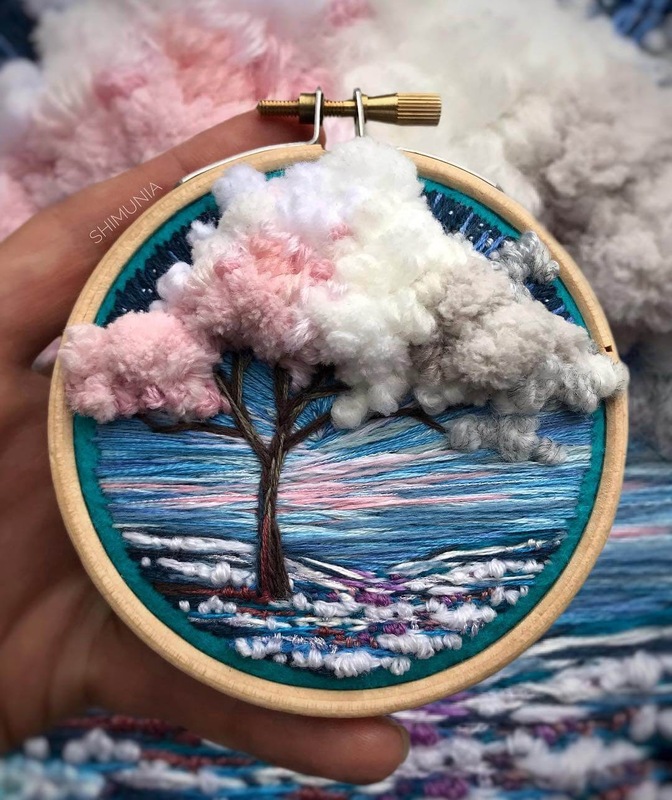 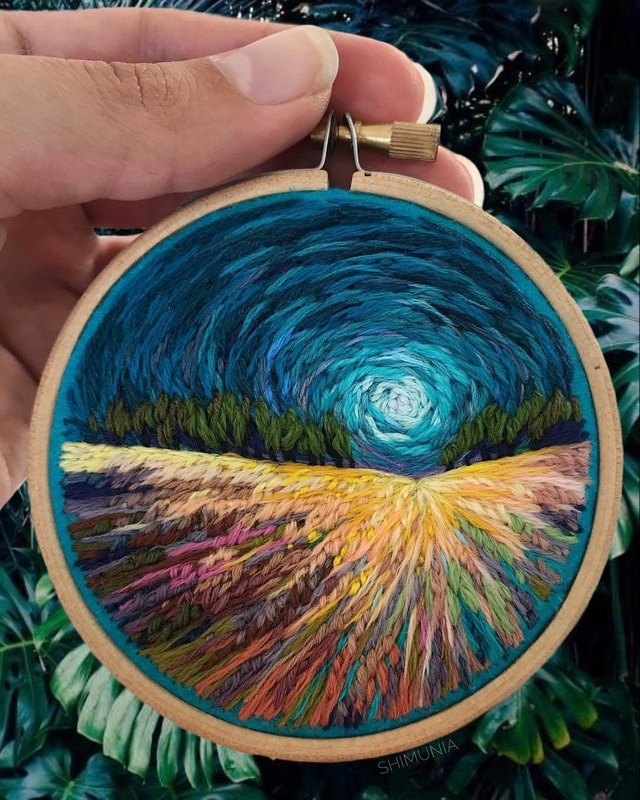 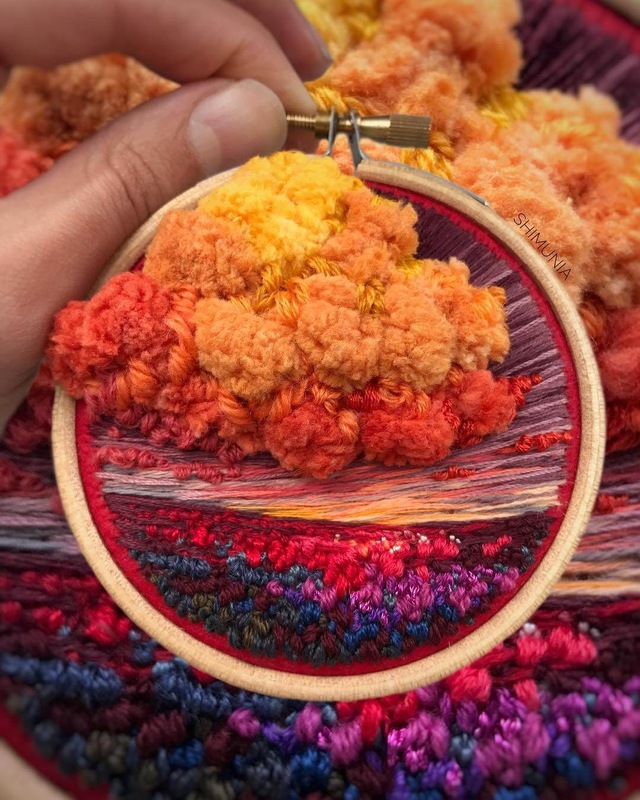 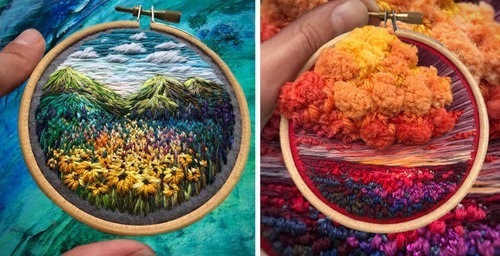 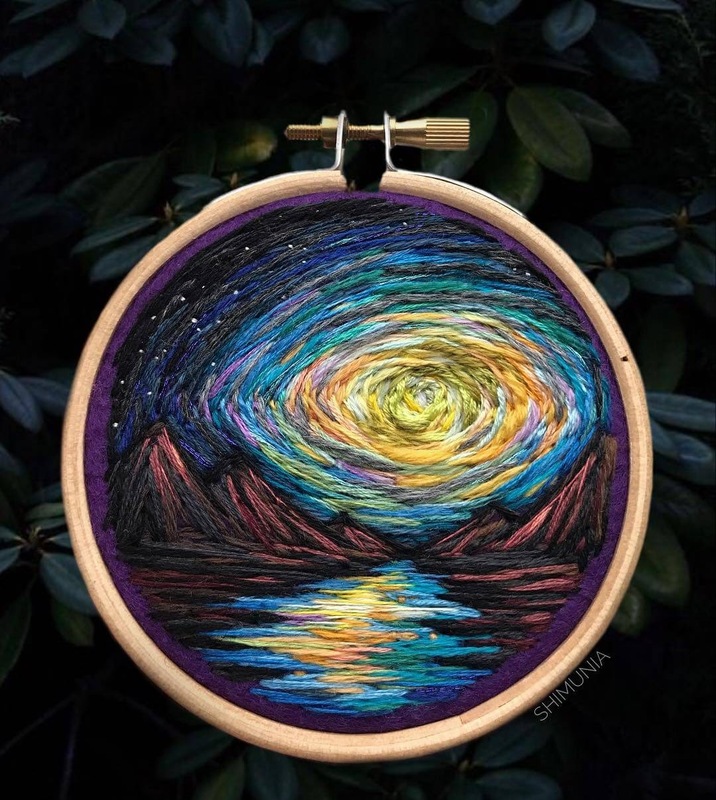 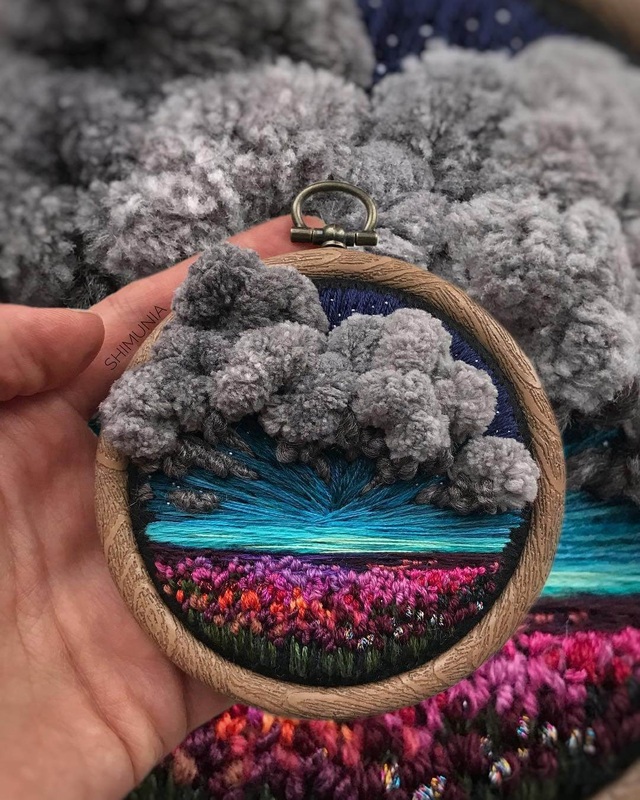 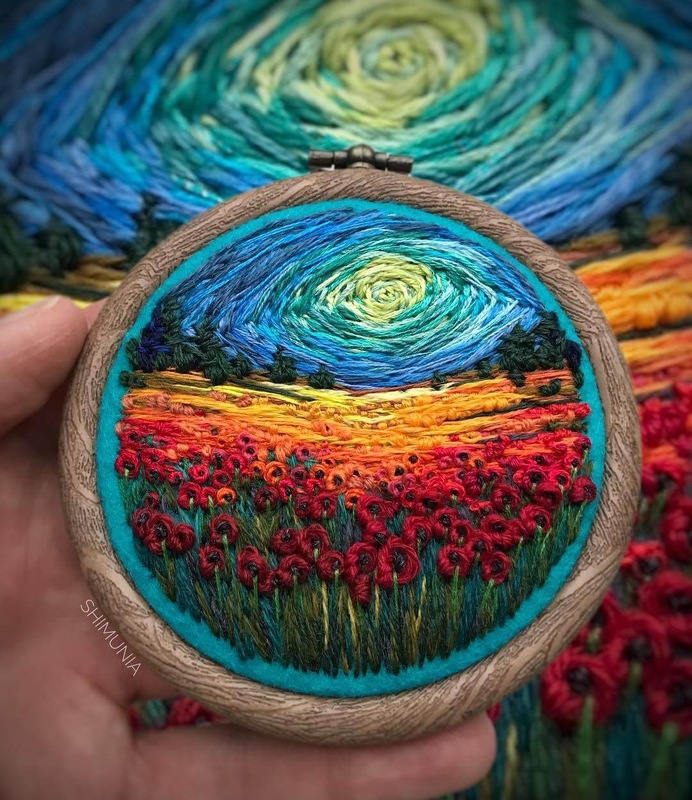 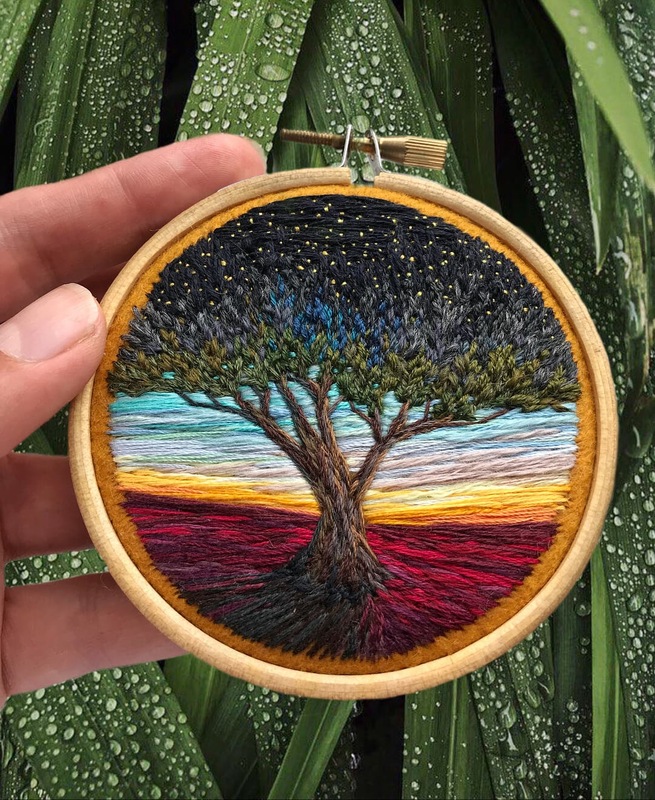 This artist draws her colorful landscapes, using thread. 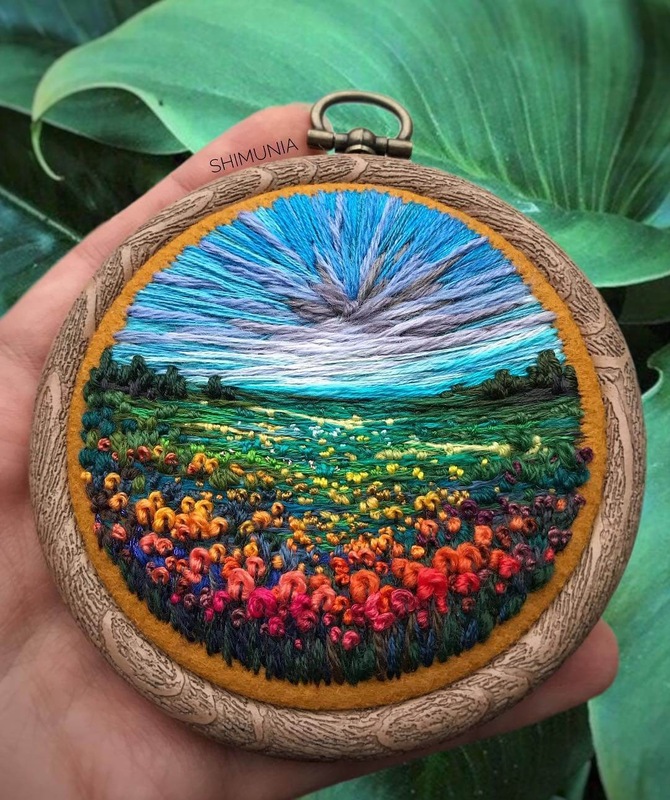 Russian artist шимуня, is self taught and has been creating her needlepoint, embroidery art, for the past 3 years. 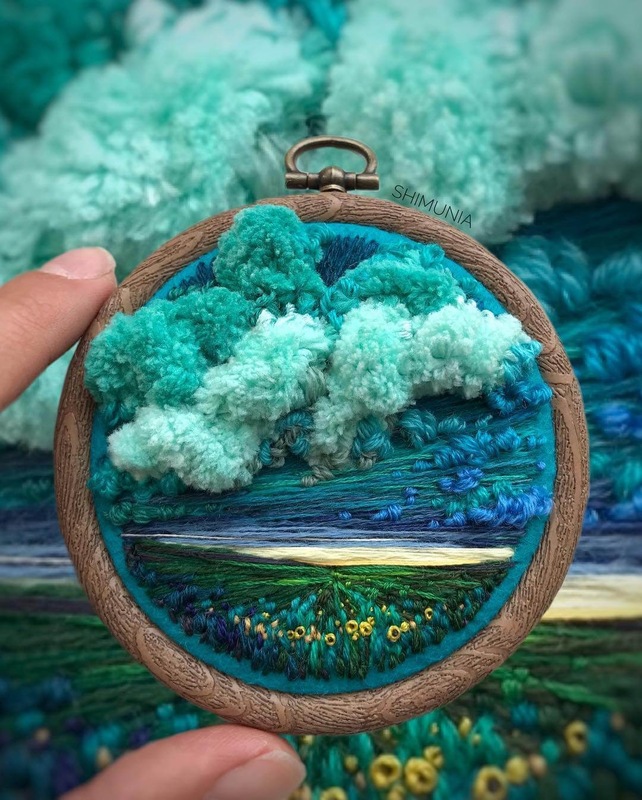 Her pieces vary in theme and in dimensions, some being more 2D and others very much 3D, with clouds puffing out of the hoop frame. 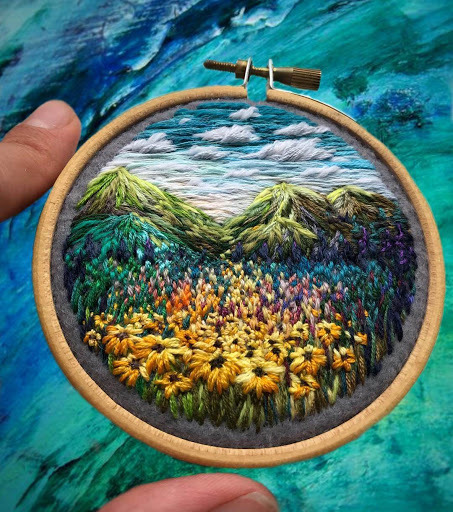 Beautiful, picture perfect scenes, that fit in a circle, almost as if you were looking at them through a telescope, into a fantasy world.